We’d love your help. 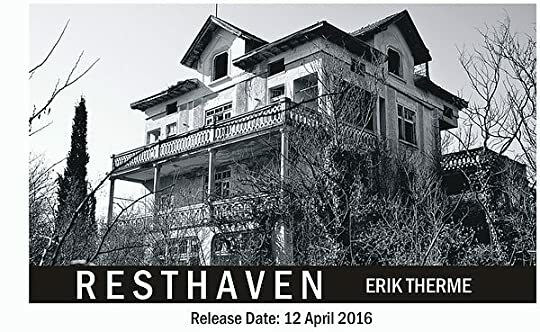 Let us know what’s wrong with this preview of Resthaven by Erik Therme. To ask other readers questions about Resthaven, please sign up. When the author approached me to see if this book might interest me, I looked at it and read the blurb. I realized I already had this book which I had purchased, so agreed to bring it forward for a review and my thoughts. I tried all the way through to read this from the angle of a YA as its mostly pointed towards that age bracket. After saying that, I think anyone can read this and enjoy it, remember, the YA has to be reflected in the book as to dialogue etc. Keeping that in mind I read on. I found the slow pace at first a bit of a struggle, me personally I like to be 'thrown' inside the book at least by chapter 3. I didn't find that with this one, I got a bit confused on who was who too as a lot of characters in here that if they had more distinguishing features, flaws or made each to stand out more then my brain whilst reading would have acknowledged them more fully. As the time went on though, this was rectified by the author and more in depth occurred. Great story, great plot, some good jaw dropping moments which I am sure many YA would love. Its a good read, makes for interesting time consumption. I don't think as an adult I could expect more for the category its placed in. This novel started quite weakly for me. The protagonist was initially viewed as spoiled and bratty, as were her friends, and their petty squabbles quickly bored me. I was expecting to be thrilled and terrified but instead I found myself eye-rolling to every other line of their angst-filled, bitchy and petty arguments. I also found the characters to be pretty weakly fabricated and found many inconsistencies in their creation. For example, there was a repeated usage of outdated language which was This novel started quite weakly for me. The protagonist was initially viewed as spoiled and bratty, as were her friends, and their petty squabbles quickly bored me. I was expecting to be thrilled and terrified but instead I found myself eye-rolling to every other line of their angst-filled, bitchy and petty arguments. I also found the characters to be pretty weakly fabricated and found many inconsistencies in their creation. For example, there was a repeated usage of outdated language which was at odds with their other, more modern and 'slangy' forms of speech and totally not befitting their age. Their interactions also felt a little exaggerated as though this was a mockery of teenage life and not a true representation of it. It seemed like each of the young females had been slotted into a stereotype and they acted their role to the melodramatic T. It transpired that no-one in their little friendship group actually liked each other and they represented everything I hated and avoided about my own school days - yet another reason to dislike this book. And yet I found myself slowly altering my opinion. The plot progressed however and I was (thankfully) able to forget about the unlikable little group and get the thrills I required. There was mystery and intrigue and I had no clue where the plot was heading. New characters and new scares were added and there seemed to be an almost supernatural element of the novel created. The very last thing Kaylee wants to do is be part of a scavenger hunt with other girls she doesn't know all that well and especially because it takes place inside an abandoned retirement home. Someone has padlocked the front door so that none of them can leave. There are three floors of empty rooms... or are they? Kaylee comes across a young boy in one The very last thing Kaylee wants to do is be part of a scavenger hunt with other girls she doesn't know all that well and especially because it takes place inside an abandoned retirement home. Kaylee comes across a young boy in one of those rooms and she discovers that he is deaf. Her first thought is to take the boy and leave ... but how? And she really gets unnerved when an elderly man threatens her and tries to take the boy. What proceeds is a race through the home, trying to find a way out before lives are lost. This is a fast-paced book with a surprise thrown in here and there. Kaylee and the other girls are typical teenagers. 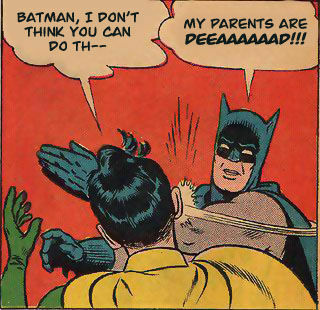 Lots of that teenage angst due to single parent homes for most of them. One feels entitled because she comes from money. A couple of them blame themselves for the family dysfunction. Kaylee is the new kid on the block, and not quite fitting in yet, and angry at her mom for moving her there away from all her old friends. Old deserted buildings hold a fascination for most people; those where people have died even more so. I can quite see why Jamie, who in my opinion is a nasty manipulative little brat, used Resthaven, an abandoned rest home, as the scene for a scavenger hunt for some 'friends'. More than that I am not going to say, except that this is a fast paced, creepy read. I devoured it. The author has portrayed the vindictive bitchiness, the emotional eruptions, the vacillating 'friendliness' of the teenage g Old deserted buildings hold a fascination for most people; those where people have died even more so. The author has portrayed the vindictive bitchiness, the emotional eruptions, the vacillating 'friendliness' of the teenage girl with great expertise. Resthaven is a Kindle Scout Winner 2016. This is a great Young Adult novel that can easily please adults also. The book is pretty much all go from the first page and is readable and engaging. The plot centralises on a group of teenagers who find themselves in an abandoned building where everything is not as it seems. They stumble upon various reveals and it's an adventure of courage, wits, strength and determination. What happens inside Resthaven is nothing that any of them could predict. The dia Resthaven is a Kindle Scout Winner 2016. This is a great Young Adult novel that can easily please adults also. What happens inside Resthaven is nothing that any of them could predict. The dialogue in the book is done really well with age appropriate conversations and expressionism. It's easy to get a handle on each character. I was hoping (personally) for something a touch more scary but that's only me as I like my dark edges. The book moves at a constant decent pace all the way to the end and I read it over a few hours. This one would be great for teens/young adult readers that like a modern day thriller/adventure style of book. Nice to see no Insta-love or love triangles thrown in as too many YA books do (predictable). I had to read the ending twice until it sunk in fully and I must admit I wanted a bit more than it gave me. It's a good read that I do think many would enjoy and I'm happily recommending it to my teen son. 4 stars! This is Erik Therme's second book, it's also the second one that I have read. Therme contacted me about a month ago requesting a review and I hesitated for one reason ... I don't read scary books. Ever. But I went ahead and took a chance with Resthaven and boy, am I glad that I did! I really enjoyed the main character, Kaylee. She's such a strong, moral and intelligent character. I found myself wishing that I was like that when I was her age. She's so self confident and a wonderful character for young readers to look up to. Kaylee was a perfectly created main character for this story. I couldn't imagine the book without her. There were a handful of secondary characters that were just as strong in their own ways but not always was the strength in a trait that people would be proud of. The differences between the characters and the depth of each, took the book to a different level ... it heightened the story in a way that can only be accomplished with beautifully created characters. This is a Young Adult book. Nothing wrong with that but I've never read a YA suspense novel and I mistakenly thought that it would be less suspenseful because of the genre and I was totally wrong. It's full of suspense with tons of plot twists that I never saw coming. Resthaven is an incredibly entertaining journey that you're taken on and with each turn of the page, you're never sure which direction the story is going to take. Sitting down to read this reminded me a little bit of my Goosebumps days when that is all that I would read. This is definitely a good book. One I would recommend to our 13-yo who is a book-hater (GASP! I know) and I think that it would keep his attention. Therme just gets better with each subsequent novel and it's fun to experience that kind of growth in an author. I'm excited to see what comes next because he knocked this one out of the park. This book is a young adult novel but can easily be enjoyed by any ages. Kaylee is new to the town with no friends so when she is invited to a birthday party her mother makes her go. Anna a girl from her building is also going when she gets there she finds out that it is a scavenger hunt in an abandoned rest home called Resthaven. James gives them a camera each and promises a $100 to the winner but james disappears shortly after and the door has been locked from the outside so nobody can get out. I This book is a young adult novel but can easily be enjoyed by any ages. I really enjoyed this book it had the spoilt bratty rich kid the savage dog and a young strange boy. I was hooked a great read. This was a book that really had me doing this a lot…. This book plunged me back into my youth, when I was a young girl and afraid of the monsters under my bed. This book scared me so bad I had a nightmare last night. Kaylee is an angry teen who is the new kid on the block when her mother moves her away to a new place. She is a forced to take part in a scavenger hunt with girls she doesn’t care for in an old abandoned retirement home. When the girls bicker as most teenager girls do, they part and This was a book that really had me doing this a lot…. Kaylee is an angry teen who is the new kid on the block when her mother moves her away to a new place. She is a forced to take part in a scavenger hunt with girls she doesn’t care for in an old abandoned retirement home. When the girls bicker as most teenager girls do, they part and then things really begin to get interesting, when they find they have been locked into the house. What happens next will make your mind spin. Definitely one of the better thrillers I have read this year and recommend it completely. Resthaven by Erik Therme was not exactly what I was expecting when I opened the front cover, and yet, was everything it promised. A good old-fashioned YA Thriller set in a creepy, abandoned retirement home, the pages of Resthaven were filled with terrifying moments, a vivid atmosphere, and ever-present danger. The book was thrilling, scary, and engaging in a way that kept me reading as I devoured t I received a copy of this book directly from the author/publisher in exchange for an honest review. Resthaven by Erik Therme was not exactly what I was expecting when I opened the front cover, and yet, was everything it promised. A good old-fashioned YA Thriller set in a creepy, abandoned retirement home, the pages of Resthaven were filled with terrifying moments, a vivid atmosphere, and ever-present danger. The book was thrilling, scary, and engaging in a way that kept me reading as I devoured the story of Kaylee and her group of angsty teenage friends. Okay, so they weren’t really friends in the strictest sense of the world. In fact, as far as I could tell, none of the teens even liked each other. Jamie was a wreck of a spoiled trust-fund teen who drew in broken people around her and continually told them how lucky they were to even be in her presence. Personally, I couldn’t stand her. For the most part, the characters were selfish, cowardly, and at times very close to being considered crazy. Kaylee though not perfect, seemed to be the most stable of the bunch. My favorite character by far, though was Corbin, the deaf, dinosaur-loving kid who lived in little more than a closet. Without him, this story would have been vastly different. He really helped to solidify Kaylee as the protagonist and kept the plot moving. This young adult thriller starts out with the new girl in town. Kaylee is fifteen and without many friends. She's invited to hang out and goes along at the urging of her mother. There's an historical rest home nearby called "Resthaven." Kaylee's new friends decide to spend an evening there. Jamie gives them a scavenger hunt list with a promise of a reward for whoever wins. These new girls aren't exactly the nicest bunch. Jamie isn't someone you want to cross. Suddenly they find themselves locked inside. They aren't exactly alone and Jamie has disappeared. Kaylee finds that she can only depend on herself to get out of there. Not knowing where the others have gone, she finds a little boy. Why is there a child in the abandoned building of "Resthaven?" Is there something sinister lurking in the shadows or are these teenagers truly mean girls? Where are her new friends and are they ok? This was a page turner. Couldn't wait to see what happened next. Does everyone make it out alive? What about the little boy? Why would he be in an abandoned building? Friendships will be built or broken. What a way to spend an evening! A mixed bunch of girls, mismatched but put together. They go on a scavenger hunt and things go from bad to worse. I don't know how they would put up with each other as such a different outlook & behaviours. But that's life & friendships! Narrator did a good job. All girls were voiced differently, not easy! So was easy to know who was talking no matter where in the story. Recommends it for: Thriller, mystery and & young adult readers! The last thing Kaylee wants to do is participate in a childish scavenger hunt--especially inside the abandoned retirement home on the edge of town. When she finds a bruised, deaf boy hiding inside one of the rooms, she vows to lead him to safety. Kaylee and her mom moved to a different town after her parent's separation. New to town, she gets invited to a fellow student's birthday party. When she arrives, there's already tension between the girls. Birthday Girl, Jamie, th Review rating: 3.5 Stars. Birthday Girl, Jamie, thinks she can buy anything & everything with money, even friends. The scavenger hunt, which is held in an old, abandoned retirement home, soon turns sour when Jamie starts getting too demanding for her guests. I liked this story. It keeps you in suspense from the first page until the end! I would definitely read more of this author's book in the future! Thank you, Erik Therme, the author, via Amazon's Kindle Scout Program for providing my with an Advance Reader Copy in exchange for a fair & honest review. I would recommend this for all thriller, mystery and & young adult readers! Kaylee is new in town and doesn't really know anyone. Her mom wants her to make an effort to meet people so when Anna invites her to a friends house for a party, Kaylee reluctantly accepts. But when they get there, they realise it isn't a party, but actually a scavenger hunt in an old abandoned retirement home! What lurks inside the building?? I was looking forward to this as I enjoyed the authors first book, but was a little let down to be honest. It felt like it was missing something! It starte Kaylee is new in town and doesn't really know anyone. Her mom wants her to make an effort to meet people so when Anna invites her to a friends house for a party, Kaylee reluctantly accepts. But when they get there, they realise it isn't a party, but actually a scavenger hunt in an old abandoned retirement home! What lurks inside the building?? I was looking forward to this as I enjoyed the authors first book, but was a little let down to be honest. It felt like it was missing something! It started off slow and then when we get to the building, it took a while to take off. There wasn't enough scares, nor enough tenseness to make this thoroughly enjoyable. I know this is aimed at YA, but they can handle a little darkness!! Character wise, I didn't particularly like any of them. One was extremely bitchy, and extremely nasty, one was extremely whiney and Kaylee herself was a little too.... I don't know. She didn't capture my attention and I honestly couldn't care what happened to them. I think the only one I liked was the little boy. In all, this was readable. It kept my attention and I finished it, but it was forgettable! Randi Larson was good. She read the story well, but lacked the cadences necessary to bring the book fully alive. She had a good few tones and voices and I enjoyed her performance. Kaylee is the new girl in town, and slightly miffed at being so. She has been uprooted due to her parents splitting up and is not too thrilled to have left her former life behind. When Kaylee is invited by Anna, a girl in her building, to go to a gathering at a friends house her mom pretty much forces her to attend. When she finds out that this gathering is actually a scavenger hunt in an abandoned rest home she is less than impressed. Jamie, a "mean girl type" rich girl passes out digital cam Kaylee is the new girl in town, and slightly miffed at being so. She has been uprooted due to her parents splitting up and is not too thrilled to have left her former life behind. Jamie, a "mean girl type" rich girl passes out digital cameras and promises $100 to the winner of the scavenger hunt. Reluctantly joining in, Kaylee and the other girls are trapped inside when Jaimie disappears, seemingly locking them inside. They find however, that they are not the only inhabitants in this spooky old building and have a harrowing time attempting to get out. This was an enjoyable read, and I think it would do quite well with a younger audience. It is fast paced and suspenseful, and I would highly recommend it for any fans of R.L. Stine's Fear Street series. Rest Haven is the name of an abandoned nursing home where a bunch of teens go for a scavenger hunt. Like an episode of American Horror Story, this books reads like a television show, complete with all the appropriate cliched characters. Author Erik Therme has included then all there, from rich mean girl, to the assorted wannabes in her orbit, to a weird twin brother with a shady past.. While there are no chapters, it is a rush to the last page,. You know something is going to happen, you are not Rest Haven is the name of an abandoned nursing home where a bunch of teens go for a scavenger hunt. Like an episode of American Horror Story, this books reads like a television show, complete with all the appropriate cliched characters. Author Erik Therme has included then all there, from rich mean girl, to the assorted wannabes in her orbit, to a weird twin brother with a shady past.. While there are no chapters, it is a rush to the last page,. You know something is going to happen, you are not sure where it is going to come from and whether it will be based in the crime of a heartless teen or something more sinister-paranormal.. 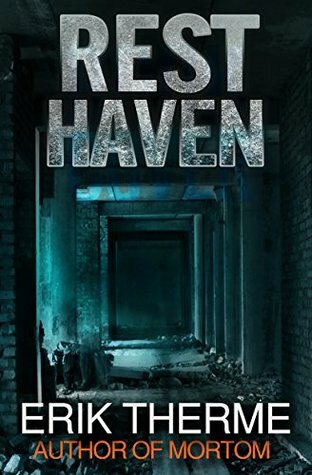 Chilling and absorbing, Resthaven will give you neither rest or a haven until you finish the short book to find out who is going to do what and to whom. This is a youth book. Great story overall. Not my typical genre so hard for me to give an great review considering I wouldn't normally read this type of book. This scene happens at least three times in the book. For transparency, I got a free copy of this for review purposes. A group of girls head to an abandoned mental institution to entertain a horrible person with a scavenger hunt. Hijinks ensue, and I chomp at the bit for one of them to get knocked off. Then the lack of profanity tells me I'm reading YA, and I realize that the genre's survival rates are inordinately high. Pity that. Let's run down the characters. Anna is one of the most platonically perfect creations of the horror genre. She exists to be Wrong. Not just wrong in general, but Wrong on the cosmic scale of entities like the Silver Surfer. Whatever conflict or choice is in front of our heroes, Anna is Wrong. If new evidence suddenly reverses everyone's understanding of the situation, Anna will instantly flip her opinion to be just as immediately Wrong as she was five minutes ago. Honestly, I was hoping Anna would be incapacitated all throughout the novel. Who know who I liked? Wren, the quiet, wry girl with the insane memory and weird facts bobbing around her head. Guess who gets messed up badly enough that they can't talk halfway through the book? Not Anna. We also have Jaime, the perfect Mean Girls clone with wonderfully hateful dialogue who unfortunately buggers off for the vast majority of the novel. As to our our hero, I honestly can't remember anything specific to her personality. Still, that's a common YA trope to give identification to the reader, so I can't get too down on it. So how does the novel read? Well, do you know what a Quicktime event is? 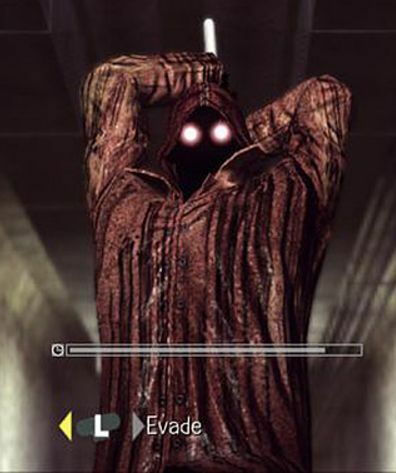 If you're not a video gamer, QTEs are moments in video games where they play a movie clip, and somewhere in the middle you have to rapidly hit buttons to avoid horrible death. Now that gets annoying during gaming. Here, where we're inside the protagonist's head, constant life-or-death choices are strung along at a frenetic enough pace that I stayed involved and interested. Duck that! Jump this! Run! It's angry! EVERYTHING'S ON FIRE! It works. And, in-between every few "stages," a new member of the supporting cast all but screams at our hero "MY PARENTS ARE DEAD." The antagonist in the book (which I'll keep mum about) are logical characters with reasonable motivations and a tangible sense of threat towards our heroes, so points on that. The ending is one of those that Cracked magazine would include in an article about Things That Are Much Darker When You Think About Them. I read Mr. Therme's first book, Mortem and this being his second, I was anxious to read.If you like scary books, and I do, than don't let this one pass you by. Our main character, Kaylee is strong and smart. It seems she was especially created just for this story. She fits the part so well. Of course, there were other characters who were special in their own ways, some you will like and some you won't.Written as a YA book, it isn't just for Young Adults. This is a page turner and with each page there are twists and turns that you are never sure where they are going but it all somehow fits in. This isn't your normal scary book, it will SCARE you! The plot is simple, a group of teens in an old abandoned building on a scavenger hunt for a birthday party.What is weird is the door is locked from the outside. Something is going on there and it just doesn't seem like just an abandoned building. Resthaven is an old abandoned nursing home. Perhaps there are spirits from the ones who died there still lurking in the dark corners. The author gives you a variety of characters which adds interest to the story. You know something is going to happen, you just aren't quite sure what. I liked the fact that the book was one continuous story, no chapters. It just flowed and you, at times, thought twice about turning the pages. What was going to be there? There is a crime that is going to be committed but by whom? Could it possibly be one of the lost spirits? This book isn't a candy coated version for young people but the real scary version. Imagine a dark, deserted, cold abandoned nursing home, called Resthaven, of all things. On top of that, you can't get out, the door is locked from the outside. So read, if you dare, and decide for yourself, spirits or humans lurking in the dark recesses of this building? I certainly hope there is another book in the making because it just keeps getting better and better. BEWARE! Those bumps in the night you hear may be more than the house settling or the wind blowing. There may be more to be scared of than lingering spirits. SO close the curtains, lock the doors and turn on the lights. You might be safe, but then again, you never know! A bunch of teenagers are forced together to do a scavenger hunt in an abandoned building. This book was supposed to be angst-ridden and suspenseful but it missed the mark for me. If it were a movie, I probably would have missed half of it because I would be hiding behind a pillow but a book is quite different. There were the same attempts to surprise us as in movies, but I didn’t feel the thrill or adrenaline pumping as they went back and forth (and back and forth again) between different rooms A bunch of teenagers are forced together to do a scavenger hunt in an abandoned building. This book was supposed to be angst-ridden and suspenseful but it missed the mark for me. If it were a movie, I probably would have missed half of it because I would be hiding behind a pillow but a book is quite different. There were the same attempts to surprise us as in movies, but I didn’t feel the thrill or adrenaline pumping as they went back and forth (and back and forth again) between different rooms and floors, always leaving someone from their little group behind to go into other rooms. Kaylee and her friends find a little boy and soon they are being chased, threatened and put in danger by some old man who is staying with him, who acts unloving towards the boy and seems very dangerous. The focus is not so much on the why and who of these two but on the action and suspense. Unfortunately, the mystery of the little boy and the man was what I was most attracted to. If the novel would have been in a different setting, only focusing on that, I would have probably loved it. Now their background story and reason to be there is subsidiary and seems like an afterthought, while it was really interesting when it all came out. That part should have been developed even more if it were up to me. I can recommend this book maybe more to people who like to go into horror houses at fairs or have a lot of imagination in general. Resthaven is a YA suspense story. Kaylee is 15 and has recently moved house with her mother. With few friends she's invited by Anna to a girls night with a few people from school, but she is reluctant to go. She meets Jamie a sharp tongued girl who enjoys making others feel uncomfortable. Jamie leaves Kaylee in the garden where she discovers Wren, a silent thoughtful girl who doesn't waste words on trivial chatter. Anna and Sidney make up the last two girls in the party and Jamie leads them all to Resthaven is a YA suspense story. Kaylee is 15 and has recently moved house with her mother. With few friends she's invited by Anna to a girls night with a few people from school, but she is reluctant to go. Anna and Sidney make up the last two girls in the party and Jamie leads them all to a closed Old Folks home for a scavenger hunt as the sun sets. Jamie enjoys trying to scare the others calling the place "The Dead Folks Home". She is determined to bully them into staying in the creepy place. The main body of the book is about the girls chasing around the huge home, getting lost, hurt and being chased, threatened and put in danger. The action is endless and leads to reader fatigue. The girls reveal their backgrounds in snippets, all having a tragedy to tell. If I, as a rational adult, were pressured to break into an abandoned nursing home in order to appear cool in front of my peers that I didn’t even really like, there’s a good chance I’d have a brief two word response and then I’d promptly leave. Same if I were pressured into having a scavenger hunt in that same creepy building. The plot of Resthaven, however, revolves around teenagers doing teenage things – like breaking into said creepy nursing home. Once inside, either in order to look cool or s If I, as a rational adult, were pressured to break into an abandoned nursing home in order to appear cool in front of my peers that I didn’t even really like, there’s a good chance I’d have a brief two word response and then I’d promptly leave. Same if I were pressured into having a scavenger hunt in that same creepy building. The plot of Resthaven, however, revolves around teenagers doing teenage things – like breaking into said creepy nursing home. Once inside, either in order to look cool or simply because their frontal cortexes are far from fully developed, those teens continue making irrational – but wholly teen-logical – decisions in a quick-read story packed with thrills and surprises at every turn. The story starts out with new girl Kaylee arriving at her classmate Jamie’s house for a routine sleepover, only Jamie strong arms the girls into exploring Resthaven, an old empty nursing home. She promptly gets mad at them and abandons them to a night of horror. This book is YA, but because I have enjoyed Erik's two previous books, Mortom and Roam, I was happy to read and review this one (I received the book for free in exchange for an honest review). Wow is not a very eloquent word for someone who loves words to use, but it spins off the top of my head as being appropriate. I can easily add, what a ride! Erik’s novel of teenage girls was so spot on about what their behavior can be like that I’m guessing he has daughters, nieces, sisters and was probabl This book is YA, but because I have enjoyed Erik's two previous books, Mortom and Roam, I was happy to read and review this one (I received the book for free in exchange for an honest review). Erik’s novel of teenage girls was so spot on about what their behavior can be like that I’m guessing he has daughters, nieces, sisters and was probably channelling someone in order to write them so clearly. Not that I want to detract from his imagination. Because right when you think, oh this is going to happen … guess what? It doesn’t. The characters are memorable and even with a cast of five girls, you remembered who was who from words, tone and body language description. This is not a scary book—you might infer that from the title of my review. But it is one with an incredible pace and because the story moves to quickly, you have anxiety about getting to the next scene and through the next scene and finally breathing at the end of it all. So don’t read when you want to relax. The writing is very concise and efficient, and the linear story moves along at a frantic pace. 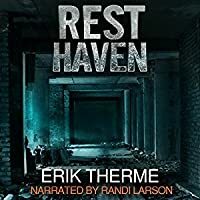 This is one of those books that is very easy to burn through in one or tw My honest thoughts on Rest Haven, by Erik Therme. This book was chosen for a local book club I am a member of because we had read Eric's book "Mortom" last year, and everyone enjoyed it. Not to mention, he came to our book club and answered questions we had for him about his book and the process behind it! I was very much looking forward to reading Resthaven because of how much I liked Mortom! I enjoyed this read as well- it was a little slow to start, the characters were bratty and annoying...almost unbelievably so. I didn't feel like there wa This book was chosen for a local book club I am a member of because we had read Eric's book "Mortom" last year, and everyone enjoyed it. Not to mention, he came to our book club and answered questions we had for him about his book and the process behind it! I was very much looking forward to reading Resthaven because of how much I liked Mortom! I enjoyed this read as well- it was a little slow to start, the characters were bratty and annoying...almost unbelievably so. I didn't feel like there was a ton of depth to anyone, or to the story itself. The characters were pretty much surface level. But then I got sucked into the plot and the twists, and couldn't put it down! The little boy and old man were my favorite characters. I HAD to see where it was going. I would have liked to read more about each character, and what they were going through/experiencing while Kaylee was running around. Overall, this was a good YA thriller, and I would recommend it to others to read! I received an advanced copy of this novel via Amazon's Kindle Scout Program and I am very happy to know that this excellent story will be published soon. If Mr. Therme ever invites you to a scavenger hunt, just say no and run away as fast as you can. As with his outstanding first novel, Mortom, there is one in Resthaven and it doesn't go as planned. I could not stop reading. The plot keeps surprising and throwing things at you. It is excellently written. The atmosphere it creates will make your I received an advanced copy of this novel via Amazon's Kindle Scout Program and I am very happy to know that this excellent story will be published soon. This book had been patiently waiting in my queue for a while, it kept slipping out of view, but the wait has not been in vain. I cannot decide which category to put this into, is it teen, young adult or adult? It can cover so many bases its just that kind of book. I personally love abandoned buildings , wandering around wishing the walls could talk and what secrets they would reveal, but for these five friends a simple scavenger hunt in a building they think is abandoned turns into a fight for the This book had been patiently waiting in my queue for a while, it kept slipping out of view, but the wait has not been in vain. I personally love abandoned buildings , wandering around wishing the walls could talk and what secrets they would reveal, but for these five friends a simple scavenger hunt in a building they think is abandoned turns into a fight for their very lives. So many times during the book, I could close my eyes and visualise the same surroundings the narrator was describing, which is something I love. To me, as I’m sure I have said before, it is the mark of a great writer and narrator that allows you to become immersed in the story. Talking about the narrator a new name to me Rhandi Larson, I like her easy to follow reading style, keeps the tension nicely, wound to breaking point. Kaylee, a 15-year old, is living in a new town with her mother. When her mom insists she attend a party with a local rich girl, she doesn’t want to go, but is left with no choice. When the girl, a snotty bully, insists on having a scavenger hunt in Resthaven, a derelict rest home bordering her property, Kaylee is even more depressed. Inside the abandoned building, Kaylee discovers a bruised, deaf boy and a violent old man, and then the heat gets turned up when Jamie, the bully, locks her and her Kaylee, a 15-year old, is living in a new town with her mother. When her mom insists she attend a party with a local rich girl, she doesn’t want to go, but is left with no choice. When the girl, a snotty bully, insists on having a scavenger hunt in Resthaven, a derelict rest home bordering her property, Kaylee is even more depressed. Inside the abandoned building, Kaylee discovers a bruised, deaf boy and a violent old man, and then the heat gets turned up when Jamie, the bully, locks her and her friends inside the building. Resthaven by Erik Therme is a tense young-adult drama, not really a coming-of-age story; more a growing up fast novel. Much of the story takes place inside Resthaven as Kaylee takes charge of getting herself and her friends to safety—and, saving the little boy. This is a story that will entertain young and old alike. The characters are well-drawn and easy to relate to, and the suspense is palpable.